A History Lesson We All Should Know…..
Read this fascinating history of the $1 bill – all the way to the bottom to know about Haym Solomon. It is short. 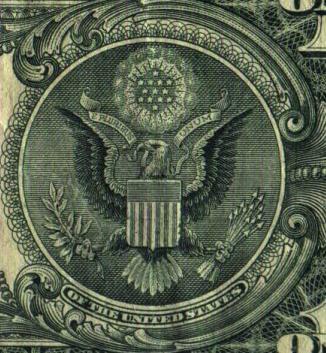 On the rear of the One Dollar bill, you will see two circles. Together, they comprise the Great Seal of the United States. The First Continental Congress requested that Benjamin Franklin and a group of men come up with a Seal. It took them four years to accomplish this task and another two years to get it approved. If you look at the left-hand circle, you will see a Pyramid. Notice the face is lighted, and the western side is dark. This country was just beginning. We had not begun to explore the west or decided what we could do for Western Civilization. The Pyramid is uncapped, again signifying that we were not even close to being finished. 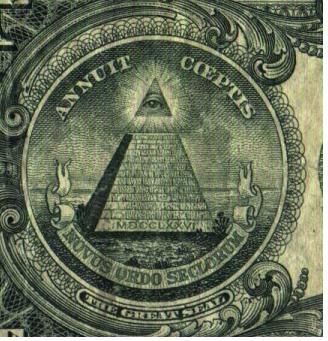 Inside the Capstone you have the all-seeing eye, an ancient symbol for divinity. It was Franklin ‘s belief that one man couldn’t do it alone, but a group of men, with the help of God, could do anything. ‘IN GOD WE TRUST’ is on this currency. If you look at the right-hand circle, and check it carefully, you will learn that it is on every National Cemetery in the United States . It is also on the Parade of Flags Walkway at the Bushnell, Florida National Cemetery , and is the centerpiece of most heroes’ monuments. First, he is not afraid of a storm; he is strong, and he is smart enough to soar above it. Secondly, he wears no material crown. We had just broken from the King of England . Also, notice the shield is unsupported. This country can now stand on its own. At the top of that shield there is a white bar signifying congress, a unifying factor. We were coming together as one nation. Above the Eagle, we have the thirteen stars, representing the thirteen original colonies, and any clouds of misunderstanding rolling away. Again, we were coming together as one. Notice what the Eagle holds in his talons. He holds an olive branch and arrows. This country wants peace, but we will never be afraid to fight to preserve peace. The Eagle always wants to face the olive branch, but in time of war, his gaze turns toward the arrows. And finally, notice the arrangement of the 13 stars in the right-hand circle. 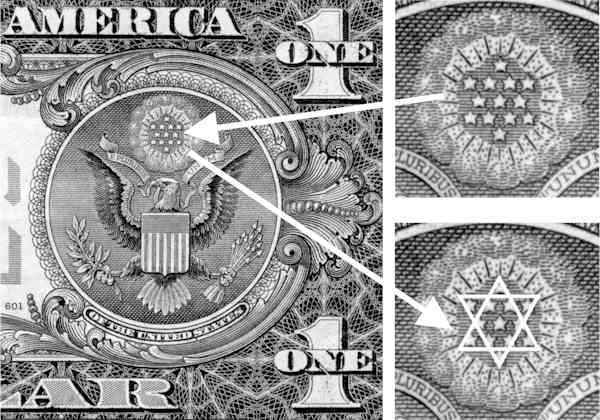 You will see that they are arranged as a Star of David. This was ordered by George Washington who, when he asked Haym Solomon, a wealthy Philadelphia Jew, what he would like as a personal reward for his services to the Continental Army. Solomon said he wanted nothing for himself, but he would like something for his people.The Star of David was the result. Few people know it was Solomon who saved the Army through his financial contributions…then died a pauper. Haym Solomon gave $25 million to save the Continental Army, money that was sorely needed to help realize America’s –our- freedom and independence from England . Therein lies America ’s Judeo-Christian beginning. Most American children do not know any of this. They are not taught because their teachers do not know this. Too many veterans gave up too much to let these meanings fade. Too many veterans never came home at all. They served and died for you and for me. I hope you will share this page so many can learn about the UNITED STATES DOLLAR BILL and what it stands for.